I'm calling it: June 30 is officially the worst day for celebrity couple news. 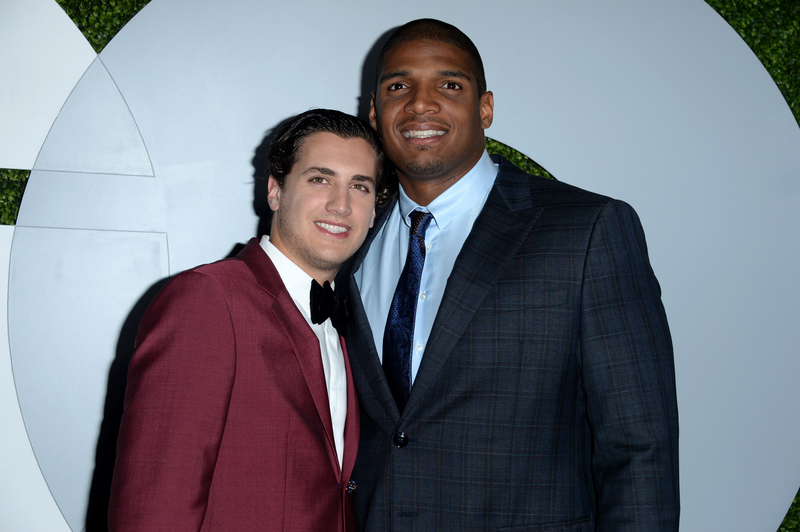 Following the news that Ben Affleck and Jennifer Garner called it quits after 10 years of marriage, news broke that the first openly gay football player to be drafted by the NFL, Michael Sam, reportedly split with his fiancé Vito Cammisano. The two became engaged six months ago. According to Us Weekly, a source close to the athlete stated that the couple called off their engagement. "They've been rocky for months," an insider said of the pair, according to the report. Us Weekly also notes that Sam appears to have deleted all traces of Cammisano from his Instagram account, including a photo of the two from their January engagement. The couple began dating in 2011. Their engagement earlier this year at St. Peter's Basilica in Vatican City was captured in a series of beautiful and emotional photos, which can be viewed over on Entertainment Tonight. Neither Sam nor Cammisano has publicly confirmed the breakup.